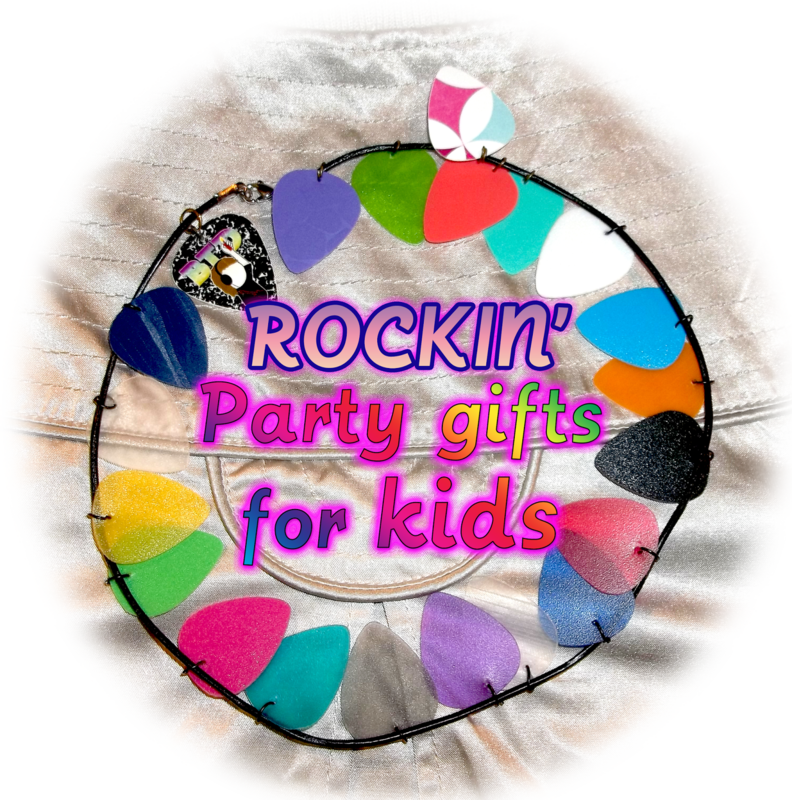 Rock Resurrection Art : Rockin' Party favors for kids! Rockin' Party favors for kids! Guitar Pick Jewelry makes a great party favor! Guitar pick pendants come with music notes on them, but can be customized and embellished. Guitar pick bracelets, my most popular item for kids are made from rubber or plastic. *Keep in mind that I personally don't practice gender stereotypes, but I do want customers to have the option to have items made specifically for boys and or girls. I can also make gender neutral guitar pick pendants or certain color schemes to go with your party theme. If you are interested in guitar pick necklaces, or something not mentioned here-- I can make that for you too! Each piece of guitar pick jewelry is wrapped in a gift bag if specified (for an additional fee). Otherwise the jewelry will arrive in protective tissue and will be ready for you to wrap or add to your own gift bag for your kid's party. To submit an order, fill out the custom order form, or email me at Beccajs@gmail.com if you have a question.